David Lynch & Mark Frost’s Complete Twin Peaks Comes To Blu-Ray! 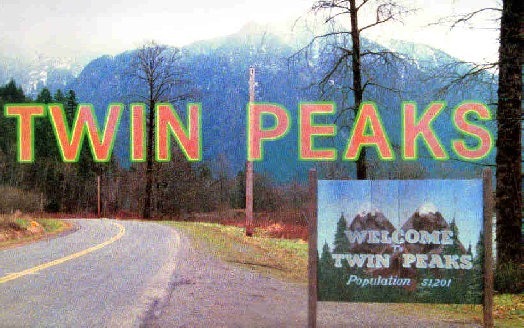 David Lynch and Mark Frost created a landmark in television history when they produced Twin Peaks. Moments of staggeringly real emotion in a world that the word surreal is inadequate to describe. The search for Laura Palmer’s murder opened us viewers up to the possibility that television could be a unique experience and laid the groundwork for the great serialized and/or surreal shows that followed – without Twin Peaks there is no X-Files, for example. Now the entire Twin Peaks story – including Twin Peaks: Fire Walk With Me – is coming to Blu-ray. The set will feature upgraded picture and newly produced and archival special features – including nearly ninety minutes of deleted/alternate scenes from Twin Peaks: Fire Walk With Me – all under the personal supervision of David Lynch. Twin Peaks – The Entire Mystery will be in stores on July 29th. For more details, check out the press release after the jump. TWIN PEAKS – THE ENTIRE MYSTERY. Arriving for the first time on stunning High Definition Blu-ray with English 7.1 DTS-HD Master Audio on July 29th, this comprehensive collection contains every episode from the complete television series; both the U.S. and international versions of the series’ Pilot; the North American Blu-ray debut of Lynch’s follow-up feature Twin Peaks: Fire Walk With Me; and nearly 90 minutes of deleted and alternate scenes from the film. The set also features newly transferred Log Lady introductions for each episode; picture upgrades to many shots in the TV series; a new featurette with Lynch and the actors who portrayed the Palmer family which includes a mesmerizing return to the lives of their characters today; and hours of never-before-released material that dives into the fascinating story behind the celebrated pop culture classic. Along with a newly transferred version of Twin Peaks: Fire Walk With Me, created from a 4K scan of the original negative, TWIN PEAKS – THE ENTIRE MYSTERY Blu-ray box set boasts the long-awaited missing pieces from the original version of the film – nearly an hour-and-a-half of deleted/alternate scenes from Twin Peaks: Fire Walk With Me – often referred to as the “holy grail” of Twin Peaks fandom. This feature-length experience has been directed and edited by Lynch exclusively for this release. Capping off more than 30 deleted/alternate scenes is an epilogue providing a fascinating glimpse beyond the cliffhanger finale of the TV series. “We set the bar very high with our prior complete series TWIN PEAKS DVD Gold Box,” said Ken Ross, Executive Vice President and General Manager, CBS Home Entertainment. TWIN PEAKS – THE ENTIRE MYSTERY is loaded with special features. In the two-part feature “Between Two Worlds,” Lynch himself interviews the Palmer family (Leland, Sarah and daughter Laura) about their current existence in this life and the next, and follows up with a discussion with the actors who portray them. TWIN PEAKS – THE ENTIRE MYSTERY also features “Moving Through Time: Fire Walk With Me Memories,” an exclusive retrospective documentary featuring interviews with cast and crew who recount the making of the Twin Peaks movie and working with David Lynch. The collection also features high-definition versions of the Log Lady episode introductions, transferred from recently unearthed 16mm film negative, a selection of newly discovered deleted scenes and outtakes from the television series, and three Twin Peaks photo galleries with over 130 behind-the-scenes images from David Lynch’s personal never-before-released collection. Also new to this release are 10 vignettes of iconic Twin Peaks themes called “Atmospherics.” Each features a unique montage of music, dialogue and video (including some rare outtakes) that appear as both menu backgrounds and as their own textless experience to further immerse fans in the mysterious world of Twin Peaks. Additionally, the set features a massive collection of pre-existing special features, some of which have been re-mastered in high definition exclusively for this release, including the award-winning four-part documentary “Secrets From Another Place: Creating Twin Peaks,” and a newly extended version of the Gold Box featurette “A Slice of Lynch,” featuring the complete and uncut conversation between David Lynch and actors Kyle MacLachlan and Mädchen Amick. Additionally, this 10-disc set houses an extraordinary archive of special features culled from the entire history of Twin Peaks on home video, including featurettes, cast and crew interviews, promotional reels, archival deleted scenes…and much, much more. Kiefer Sutherland, David Bowie, Chris Isaak and Harry Dean Stanton. TWIN PEAKS – THE ENTIRE MYSTERY will be available in 1080p with English 7.1 DTS-HD Master Audio (Series and Feature), original English Stereo 2.0 (Series and Feature), Latin American Spanish Mono (Series), Latin American Spanish Stereo (Feature), Brazilian Portuguese Mono (Series), French Mono (Series), French 5.1 (Feature), Italian Mono (Series), Italian Stereo (Feature), German Mono (Series), German 5.1 (Feature), Castilian Mono (Series), Castilian Stereo (Feature), Japanese Mono (Series), and Japanese Stereo (Feature). The 10-disc collection also includes English SDH, Latin American Spanish, French, Italian, German, Castilian, Japanese, Dutch, Swedish, Danish, Norwegian, and Finnish subtitles (Series and Feature). Previous PostThe CW Announces Fall 2014-15 Schedule!Next PostPost-Apocalyptic Undead Rule in Seraph Of The End: Vampire Reign!